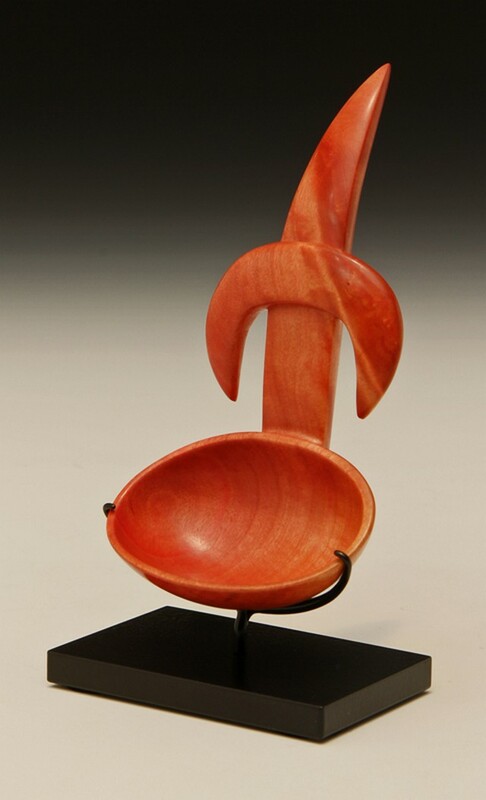 “Pink Moon" – Pink Ivory Wood Spoon – 5.5 x 3 x 2 – Very pink wood from South Africa. Photography by Jim Osborn. 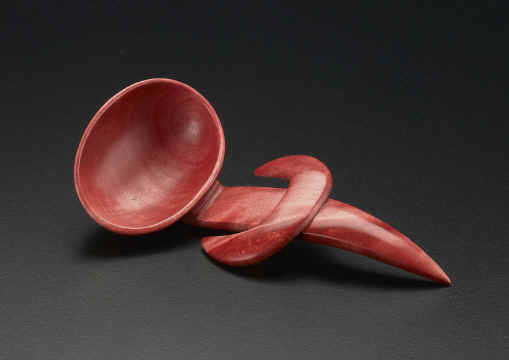 This spoon comes only with a museum style metal stand made by Mark Nantz. Mark is an exceptional wood artist and stand maker whose work may be seen here. This piece is part of an online exhibition called Turned and Sculpted Wood 2018 presented by Wood Symphony Gallery. In addition to the five works I am showing, there are many leading makers represented in the show. Thanks for looking at all this exciting work. After this show is over on April 22 purchase of this piece will again be possible from my website.